Mail4Rosey: 10 Reasons to Love the New Hoover Air Lift Deluxe Vacuum Cleaner! 10 Reasons to Love the New Hoover Air Lift Deluxe Vacuum Cleaner! Do you get excited over a new vacuum? I do!! One of my grown sons just got a new place, and this was the perfect housewarming gift. Trust me folks, it was hard to give this one up!! I tested it for the review and the features are all of that, a bag of chips, and then some. ;) What did I like about it? I'll not give you just one thing... I'll give you ten. #1. It has a 5 year warranty. Self-explanatory and what's not to love? Steerable Technology. This vacuum really pivots. #2 Steerable technology means this bends and twists around corners in ways a traditional vacuum cannot. That means you can vacuum around corners, closer to walls, and we even got in there under the couch. You can see from the picture above that you can even put the vacuum down flat, and that certainly is going to come in handy. There are instructions written on everything. #3 There are instructions written on all of the buttons, so you know exactly what they are for, how to use them, and what they do. Simple instructions that I can understand, like 'lift,' 'release,' or 'push.' For those who are savvy and able to figure things out with just common sense, you might not understand my glee. For those of you who have a hard time figuring out how to get an item running and you end up going through trial and error (big time), you're nodding your head, pumping your fist and saying, 'yes!' Or you're just silently agreeing. :) There are some pretty cool buttons to work with too, like the one that allows you to go from carpet to hard floors without ever skipping a beat. Light weight and deep cleaning. This Hoover Air Lift Deluxe has it all! #4 It's got suction! This vacuum really did work great, and lived up to the carpet of a household with two children in it. While some of the other features are bells and whistles that may be (oh and they are) fun, convenient and/or cool, this one is the most important in my book. Why? Because if the vacuum doesn't work great, nothing else matters. This one gets the job done! #5 It has WindTunell 3 Technology. That means it's designed to keep its suction. That means it's going to last longer, and work better: two reassurances you want when you're deciding which vacuum cleaner to purchase. Easy to remove filters make for very easy cleaning. The Hepa Filter is encased in sturdy plastic for protection. #6. It has easy and sleek looking filters. To clean them, you remove, rinse, allow to dry and replace to use again and again. That saves you money and time, and it makes it a breeze and a pleasure to change. Who's with me on hating to change out a messy vacuum filter? With the Hoover Air Lift Deluxe, messy filter challenges are a thing of the past. This vacuum has auto height adjust. #7 It has auto height adjust. No longer do you have to worry if you've got the settings right when you go from room to room. The technology in the vacuum knows the pile height of your carpet and adjusts itself accordingly. The canister comes off for unmatched ease in portability. like a traditional upright or take it on the go..
#8. It comes apart easily to become a canister vacuum. That means you can pop off the middle, and easily walk up and down stairs, or take the vacuum into places that otherwise might be a challenge. The canister is light enough to carry comfortably and really allows you to increase your vacuuming options. very cool ones, like this one that dusts your ceiling fans! #9. 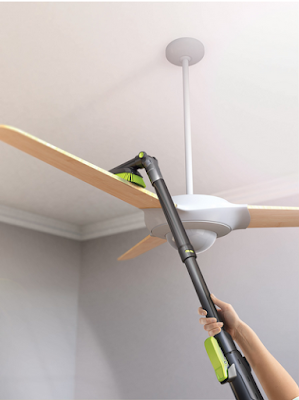 It comes with standard attachments that you're going to need, but it also comes with some really cool ones, like the brush that dusts your ceiling fans (how many ways can you say, 'love???'). Hoover has been a household name for a long time now. 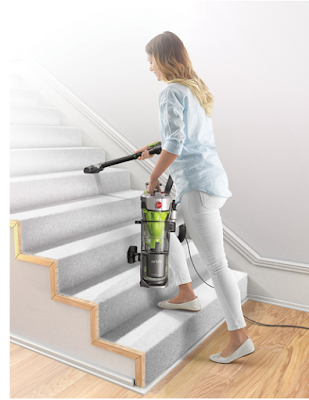 You can learn more about the Hoover Air Lift Deluxe by visiting the website. You can also follow along on Facebook and/or Twitter. This sounds like a dream vacuum! Mine is on its last legs again and I think I have been through five in 15 years! That looks like an amazing vacuum cleaner. I need a new one. Mine doesn't clean well. It really does. Our vacuum is always giving us problems, I think we might need a new one soon. Love the vacuums with the hepa filters. They really do the job without blowing a lot of dust around which often occurs when using vacuums with bags. I like the fact that this Hoover machine looks fairly lightweight but does the job. I've heard lots of good things about this particular vacuum. When my current one bites the dust, I'll definitely look into this one. I like how lightweight it looks, yet seems to be a powerful machine. I wish work had a vacuum like this. Our vacuums here are so old! I haven't had a good vacuum cleaner in years . . . nor the money to buy one. I don't have any carpeting in our current house, but we do have some rugs. And I've been looking for a new vacuum cleaner, so I'll definitely check this one out! Whoever made this thought of all kinds of cleaning challenges then found a way to easily tackle that challenge. Love this and Hoover is a household name for sure. this looks like a great vacuum - I need something that is not too heavy to carry up my stairs. I have two sets and it is getting harder! I know, that feature is awesome!! I've owned many vacuums in my lifetime. Hoover has always been the best as far as it's clean up power and how long they last. This looks like a great vacuum! I love the special high reach feature! Great post! I would love a new vacuum we really need a new one. I would love to test one out. I love that fan attachment!!! I will have to go check it out. We are BIG Hoover fans here, we have owned one since as far back as I can remember. I love Hoover and their products. I bought a Hoover when I first moved into my first apartment and it worked amazing for a long time until it died. I've always recommended them. I need a vacuum cleaner like this one in my life. The rugs in our bedrooms get so dirty so fast. Wow this vacuum has EVERYTHING! I can totally see that helping out in our home with our really high pitched ceilings, 6 pets and all the pet fur and dander, not to mention all the cob and spier webs from being in the country! I will tell my hubby to read your review! This sounds like the vacuum of my dreams! Being able to vacuum the ceiling fan--and those high up hard to reach places and the fact that you cab change to canister AND it is relatively light!!!!!! We have one too and love it. I use the portable canister more than as a regular vacuum. I love the attachments as i can finally reach my ceiling fans! I have try them all but not Hoover...Sound like a great pick her upper build to use multiply ways. I have an older model Hoover. I really like the looks of this one you have. I have a Hoover and love it. I would love to have that extension for the ceiling fans. Is it sad that a vacuum excites me? #motherhood :) I need this vacuum to get my ceiling fans at the very least! A great vacuum is a must especially in a house with little ones and pets. I like how portable this is, my current vac isn't very portable. It's nice to have the vacuum pieces easy to assemble. I have bought a few in the past that are hard to assemble. It's not fun. Hoover has a winner here! I love that you can pull it out and go anywhere with it. Sometimes I hate when my vacuum is so bulky, and I can't get to a place I need to with it. That sounds and looks like an awesome vacuum! I want one of these in our home! Sounds like a great vacuum. I need this for cleaning our house it saves my time. This is a nice vacuum cleaner! I don't normally use one at home, but this would be really helpful! I love to vacuum. I currently have a Dyson, and it really does a great job, but it's so heavy. I'd love to have something lighter but works just as well. Looks like a nice vac. I like the fact that it is easy to use the attachments. Makes cleaning ceiling fans a easy job. The fan attachment is interesting. I will check this out. This looks really cool. My MIL is in the market for a new vacuum. I will share this with her. 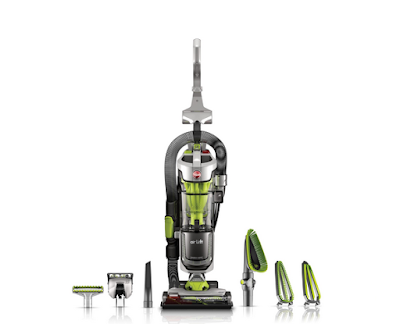 This is a great looking and easy to use vacuum. I am always on the lookout for one that will be a fit for carpeted stairs in this house! I'm sure my mom would love this, i think we need to buy a new vacuum like this cool. I want one of these so bad! I know it would be great on pet hair and dust which I have issues with. I'm a little jealous! I want one of these so bad and I am hoping to get myself one for Christmas. Who would have thought this would be the gift of my dreams?